Meet Alyssa! 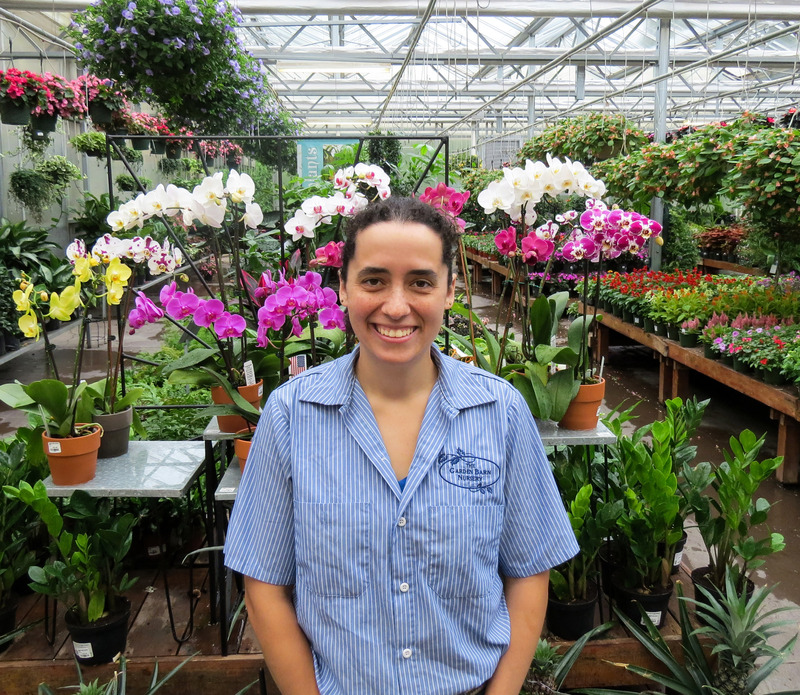 She’s been employed by the Garden Barn since March of 2009, primarily working as a cashier/sales associate but also as an expert on annuals, houseplants, trees, shrubs, and perennials. She became the manager of our warehouse in 2016 and orders and maintains most of our hardgoods, chemicals, and giftware. She attended the University of Connecticut and received her Bachelor’s degree in landscape architecture. Currently, her favorite plants are Lantana and Clethra. Both are fragrant and she loves that the Clethra attracts hummingbirds and butterflies. Outside of work, she enjoys working in her garden, watching anime, playing video games, and spending time with her husband and son. People would be surprised to know that she met her husband on the school bus during her freshman year of high school, and they’ve been together ever since! In the future, she’d love to visit Japan.